Research has shown that those who go through life with a high level of financial literacy usually make good and informed choices in life and often end up better financially and materially says Phillips Oduoza, Group Managing Director and CEO of United Bank for Africa (UBA) Plc. He said this on Thursday, March 12, 2015 while teaching students of Girls Secondary School, Amenyi Awka, as part of the celebration of financial literacy day organized annually by the Bankers Committee and the Central Bank of Nigeria (CBN). The event witnessed participation from over 200 students from seven different schools in Anambra State including Community Secondary School, Agulu, Ezi Awka Community Secondary School, Community Secondary School, Okpuno, Community Secondary School, Umuokpu and Capital City Secondary School, Awka. Oduoza noted that financially smart people make financially smart families, communities and country, which leads to a higher standard of living for everyone. Oduoza took the students through the basic concepts of making money, savings and investments while letting them know their capacity to make informed financial decisions will make them better adults in future. Earlier, in the welcome address by Lady Winnie Ibezim, the Principal of GSS Awka, she thanked UBA for choosing GSS to celebrate the financial literacy day event. She said the school readily accepted to host the programme because of her strong believe that the financial literacy education will turn the students into good financial managers. 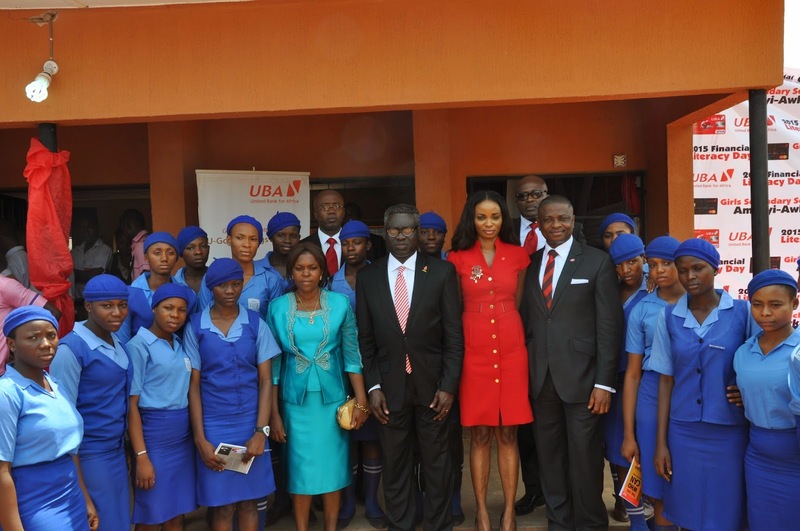 Mr. Tony Oli, Senior Special Assistant, Finance who represented the Anambra State Governor Chief Willie Obiano said UBA’s decision to celebrate the financial literacy day in the state is highly appreciated and ties in with the state governor’s efforts to promote education in the state. He requested that UBA look into the provision of collateral free loans to skill based business start-ups in the state to encourage young entrepreneurs that have acquired skills to be able to practice what they have learnt and reduce the level of unemployment in the country. 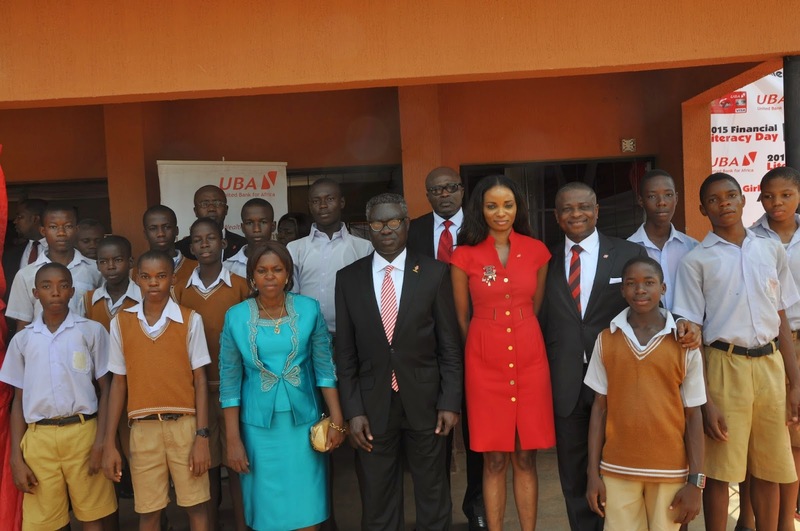 He commended the great partnership UBA has with the state saying the financial literacy day celebration will impact positively on the students participating in the programme. Oduoza’s lecture on financial literacy attracted interesting questions from the students that participated in the programme. The questions bordered on collateral for loans, how to use ATMs, documentation requirements for opening bank accounts, interest rates, what happens to depositors money after death, among many other questions which the GMD/CEO of UBA took time to answer. The financial literacy day is part of the activities to celebrate the Global Money Week, a week set aside globally to deepen the financial capacity of children. It is an annual international money awareness celebration, which engages children worldwide to explain to them how money works, can be made, multiplied or lost. I think that it is a good posibility for every student to get some grants for the high school. And financial question can bring someone to the bottom. Students know that if you need to pay for your papers, you need to ask some special services like Peperell. Their system is very simple to understanding and I think that every student will spend thir free time with friends then learn how to find write their routine papers. It is very great that they are still investing in education. Recently, there was a great article on EssayReviewExpert on this topic, so if you are interested in this topic, then definitely look at this site!